If you want people to love you for what’s on the inside, you’ve got to show them what you’re working with: dem bones. 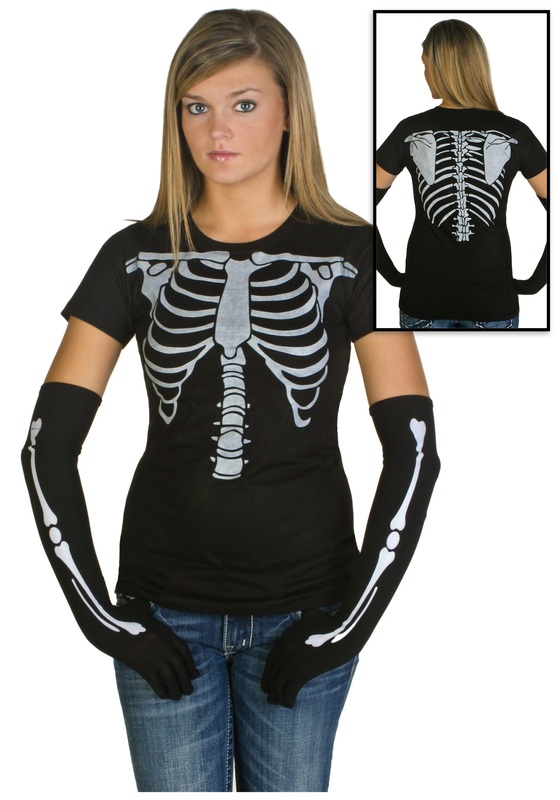 This Womens Skeleton T-Shirt Costume shows everyone exactly what your insides look like. You know, minus the organs, muscles, blood, and whatnot. All that gross stuff. Just nice, clean bones here. Perfect for the thoracic surgeon med student! As any good med student would know, the rib cage protects some of the body’s most important organs and forms the center of your skeleton. This T-shirt won’t offer any extra protection for your organs, but it will make you look like a cool skeleton. If you’re often having to remind the boys to look at your eyes, creep ‘em out by reminding them what’s all the way underneath that shirt. “I’m not going to wear a costume to work. I refuse.” Then the fear of missing out sets in. “What if everyone else is dressed up? Am I going to be seen as a party pooper? A misfit? Maybe I should get something, just in case. Not really a costume, but a gesture in the direction of a costume. So no one can say I didn’t try. I’m fun! See, I can be fun too.” Be fun––but not too fun, like you could put your jacket on and look normal if you need to––in this Womens Skeleton T-Shirt Costume. A full costume for the less frivolous among us, or the start of one if you’re looking to go all-out as a skeleton.